The economy continues to be weak with the GDP growth for the July-September quarter coming in at 5.3% with the remaining quarters of this fiscal also likely to remain subdued. 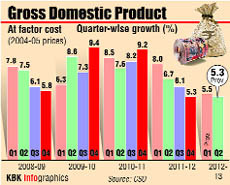 Gross domestic product had expanded by 6.7% in the same period of last fiscal while it had grown by 5.5% in the first quarter (April-June) of 2012-13. The country's fiscal deficit during the April-October period rose to Rs 3.68 trillion ($67.5 billion), or 71.6% of the budgeted full fiscal year 2012/13 target, government data showed on Friday. During the same period in the previous fiscal the deficit was 74.4% of the budget target. Royal Bank of Scotland's sale of its Indian retail and commercial banking operations to HSBC has fallen through more than two years after it was struck, leaving RBS to wind it down. The Consumer Price Index (CPI) for industrial workers was at 9.6% in October, higher than an annual rise of 9.14% in September, government data showed on Friday. 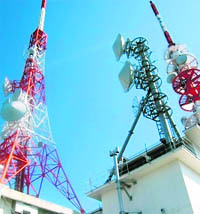 Announcing the launch of the country’s second largest IPO in two years, Bharti Infratel Ltd, the cellular towers unit of Bharti Airtel, on Friday set a price band of Rs 210 to Rs 240 a share for its initial public offering. Addicted to your smartphone for all your mobile banking needs, online shopping or simple net browsing? You could well be the next victim of cyber crime that has grown phenomenally in the past few years, especially among net users on mobile devices. 42 million Indians have been victims of cyber crime this year as against 25 million in 2011. IT services major Infosys, which was the first Indian firm to list on Nasdaq, said Friday it would shift the listing of its American Depository Shares to the New York Stock Exchange Euronext from Nasdaq. Infosys also plans to list its ADS on the Paris and London exchanges of NYSE Euronext. According to Crisil Research, this is the third consecutive quarter in which GDP growth has hovered around this level. Industry continues to be the weak link as it grew at 2.8 per cent in the second quarter and this is the lowest industry growth in this quarter Q2 since 2004. Manufacturing, impacted by policy hurdles and slowing consumption/investment demand, grew at just 0.8 per cent. Services, the best performing among the three sectors, grew only at 7.2%, much lower than last year. Private consumption growth remained muted at 3.7% due to depressed consumer sentiment and high interest rates. Exports witnessed a sharp slowdown reflecting weak global demand. “Given the global economic environment and the domestic policy hurdles, GDP growth is expected to remain subdued over the remaining quarters of this fiscal as well. 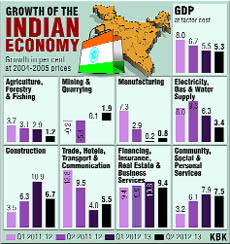 We, therefore, expect GDP to grow at 5.5% in FY13”, Crisil said. A finance ministry statement said the growth rate is below expectations. It said the reduction in growth in Agriculture and allied sectors has been on account of rainfall being lower than normal particularly in June-July. The impact on the kharif crop has pulled down the growth rate. Gautam Trivedi, MD & head of equities, Religare Capital Markets, said despite its stance on inflation, the RBI is likely to come under immense pressure on easing rates in the coming quarters. Industry has expressed concern at the weak GDP numbers. CII said it is deeply concerned with the continuing decline in GDP growth in the second quarter of the current fiscal driven by the poor performance of the manufacturing and agriculture sectors. At 5.3 percent, the Q2 GDP growth is very disappointing. It added that reviving the investment climate and containing fiscal deficit should be top priority. FICCI president R.V. Kanoria said these numbers confirmed economic activity continued to remain sluggish and, unless the growth performance in the second half improved considerably, it would be sub-6 per cent growth this year. He added this was not good news for an economy that must generate a large number of new jobs every year. Net tax receipts during the April-October period stood at Rs 3.34 trillion ($61.6 bln) and the total expenditure was about Rs 7.79 trillion. The government is aiming to keep the deficit at 5.3% of GDP this fiscal year, a revision to the target of 5.1% in the March 2012 budget. Economists forecast that the FY13 fiscal deficit will overshoot the government target of 5.3%. High current account deficit will continue to impact the rupee. GDP grew at 5.3% versus 5.5% in Q1 of the current fiscal. India's economy could gather pace in the new year, putting behind a dismal year, Goldman Sachs said in a report released on Thursday. It said the Indian economy is expected to expand 6.5% in 2013 thanks to an improvement in external demand and pickup in reforms, and further accelerate to 7.2% in 2014. 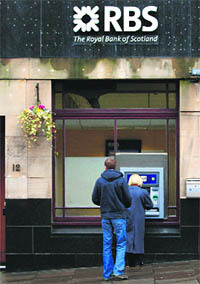 RBS agreed to sell the business to HSBC in July 2010. It has 31 branches, 400,000 customers and was profitable, with assets of 190 million pounds ($305 million) and revenues of 42 million pounds in the first nine months of this year. The collapse is further evidence of the difficulties of completing banking deals amid changing strategies, stricter regulation and complex IT issues. RBS's $2.7 billion sale of 316 branches to Santander also fell apart last month after more than two years of talks, which the Spanish bank blamed on IT issues. RBS and HSBC declined to specify the reasons for the breakdown, other than a failure to complete all the details by Friday, the so-called long stop date by which issues such as data and customer transfers and regulatory approvals should be resolved. The Reserve Bank of India has strict rules on branch ownership by foreign banks and that had caused complications with the deal, local reports have previously said. HSBC was due to pay a premium of up to $95 million over the tangible net asset value of the businesses, although the price could have been reduced if bad debts rose or there were other changes, and the deal could have ended up costing RBS. The business had shrunk significantly in the last two years — it had 1.1 million customers in March 2010. RBS, 82% owned by the UK government, said Friday: "Consistent with RBS's strategic objective to reduce or exit its noncore assets and businesses, it will begin to wind down its retail and commercial banking business in India, whilst meeting all customer obligations." The consumer price index for industrial workers rose by 2 points from the previous month to 217 in October, data released by the labour ministry showed. The issue will open on December 10 for cornerstone or institutional investors and to the public on December 11. The issue will close on December 14. 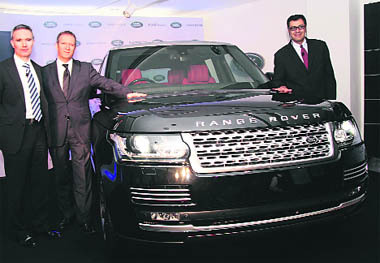 The company plans to raise about Rs 4,500 crore at the upper end of the price band. The offering is for 188.9 million shares or 10 per cent of Bharti Infratel. This is set to be country’s biggest IPO in two years after state-run Coal India Ltd raised $3.5 billion in October 2010. The issue comprises of a fresh issue of 146,234,112 equity shares by the company and an offer for sale of 42,665,888 equity shares by certain shareholders. 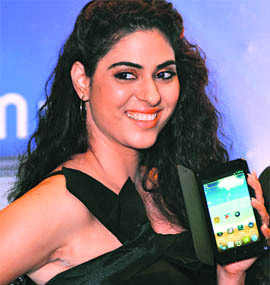 Based on the price band Bharti Infratel will have a market capitalization of Rs 39,660 crore to Rs 45,330 crore . Bharti Infratel is selling 146.2 million new shares in the IPO, while four of its shareholders including arms of Singapore state investor Temasek and Goldman Sachs are selling 42.7 million shares. Bharti Airtel, which owns about 86% of Bharti Infratel, is not selling any shares. The minimum bid lot has been fixed at 50 equity shares and in multiple of 50 equity share thereafter. According to the Norton Cyber Crime Report, 2012, 78% of the time spent using a smartphone is used for games, online activities and for downloading or surfing various applications, while a mere 28% of the time is used for making voice calls. The top online mobile phone activities of users include 34% mobile banking and 24 per cent online shopping. Ritesh Chopra, country sales manager, Symantec Corp, said in spite of the eminent threat of cyber attack, users in India were not keen on protecting their identities while being online on mobiles. “Our surveys have shown 80 Indians experience a cyber attack every minute. Though cyber crime cells are being set up across the country, and are now flooded with complaints, users are still not keen on getting security products on their devices,” he said.